Freezing in winter and bursting pipes. Insulation on the outside, and living on the inside should mean it never happens. An emergency water heater and a easily accessed weak point would reduce this risk. 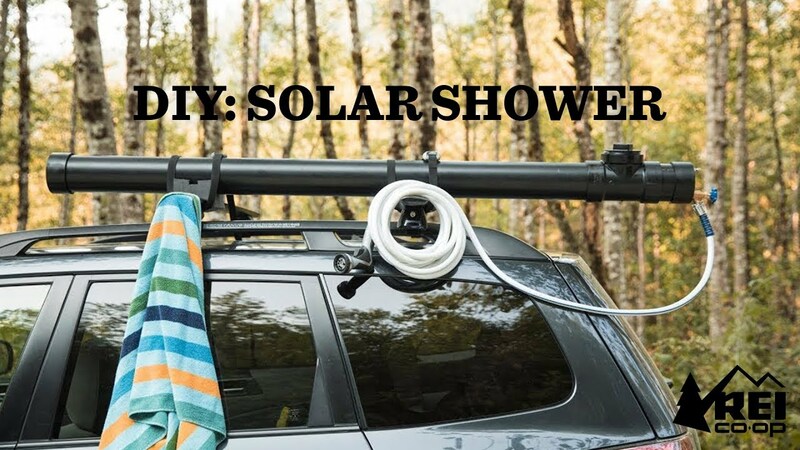 Stretch goals Add in a standard solar hot water heating panel as the roof of the tiny home, and tiny solar pump to heat water on cold days. Already have these. Add low pressure cheap poly pipe coiled under the home in the shade to cool it down on hot nights. Already have these as solar collectors but should work as radiator in the shade just as well. 3 temp sensors and two cheap pumps to keep temp in walls comfy. Just landed a job where we have heaps of these sorts of things and the cheap mini computers to drive it. I've a background in building things that work, and have most of these concepts prototyped, but trying out this website for advice and and to help foresee any gotchas I've missed. LOve to hear what you think, as well as typing this out helped me get my ideas sorted a bit more. I live in Canberra which has weeks over 40 degrees C during the day, and months below 0 overnight, and wasting our resources on heating and cooling is kinda lame. Welcome to the HB ; bathroom's down the hall on the left ; fill up the coffeemaker if you're the last one to take a cup, and //be verbose in any advice or criticism// isn't something that's ever been a worry... unless you're insisting on *useful* advice/criticism. The amount I know about thermal-mass could be fit into a small tea cup, but it occurs that you might consider putting the storage tank on the ground under the house and utilizing "infloor" heating or whatever they call it, rather than adding a tonne/m³ onto the tires. Welcome to the Halfbakery! The thermal mass would be enormous. Dividing the walls into cells would stop heat dissipation through convection currents, and also reduce the amount your house would fill up with water when you drill holes in the wall to put up some shelves. I guess the question is how you want to balance thermal mass and insulation - water-filled walls would be very bad insulators. In the UK, this would be a problem because on average we need to heat houses but seldom cool them, but in climates with big daily temperature fluctuations either side of "comfortable", it might make more sense. What would be neat is if you could have two layers of pipes with insulation sandwiched between them. Then, in the early morning, a pump could "swap" the cold outside water for the warm inside water to cool the house during the day. At night, it would do the reverse, bringing sun-warmed water to the inner layer to keep the house warm. Thanks for the welcome FlyingToaster. The thermal mass needs to be inside the insulation, so it would need to have a layer of something down first, then the tank on top, then allow air to circulate around that tank and up into the house. Possible. There wouldn't be much weight going through the tires as the wind down support legs fitting to these thing would take the weight. Dividing the walls into cells to reduce heat dissipation? Do you mean standard insulation? I have a 40mm Styrofoam that I am planning on putting between the outer skin of corrugated iron, and the thermal mass. And yep, will add the risk of drilling into the pipes. You shouldn't be drilling into walls you don't know too much anyway as electrocution is a higher risk. Thanks for the welcome MaxwellBuchanan, this place seems to get a better reply than spam filled FB. Yes, water filled walls is terrible insulation. The role is thermal mass. In my part of the world people regularly use heaters and aircon in the same week. Not being near the coast means temperature fluctuation are quite high. If you are almost always heating only, you just want thick insulation. Xenag pope pope nope... did I make a typo? Wow - numbered citations too! The force is strong in this one. // this place seems to get a better reply than spam filled FB// "better" is a very subjective term. What tends to happen is that after about the first ten annotations, the discussion will be sidetracked to snowglobes/firearms/my relatives, after which it's the devil's own job to get it back on track. On the plus side, you do get a better class of digression here. If only you had thought of using the water in the walls storage system to ferment beer...... Begins discussion on the merits of making beer in cavity walls. In europe we hang little tanks on the walls and fill them with hot water when it gets cold. Maybe in hotter climates, a similar system could be used with cold water, especially if the cold is harvested at night and stored in a larger container to be pumped around the smaller wall water tanks. If you're using water-filled walls as thermal mass, it seems a huge missed opportunity not to also make the walls out of glass and stock them with tropical fish. Thanks [zenzag], I am now thinking of tanked walls as yeast gyms. You could shjoodge up your system by having the water flow along pipes set into the walls, and have these pipes lead down to the bottom of the garden and into a large heat exchanger sunk deep in the soil or a pond. That way, you can, over the hot summer months, pipe excess heat into storage, and then in the winter, reverse the process and directly heat the walls. You're increasing the overall thermal mass of the system, and by arranging it in such a way that which one is hotter/colder in any given season presents an opportunity to take advantage of the difference. The temperature gradients aren't going to be massive, but should be enough to be noticeable, and all for zero fuel consumption (other than that required for operating a gentle pump - see Stirling Home System (linked) for a way of potentially removing this last energy requirement). I have a system of heating in my house where heated water travels around in pipes, periodically entering chambered metal oblong containers that sit flush against the walls. There is one potential problem with having cooled walls, and that's condensation. Air conditioners produce a steady trickle of water. Exactly [xenzag] now imagine living in a hot country where those oblong thingies not only heat the house in winter, but also provide active cooling in the summer (subject to [Max]'s point re condensation - though that's manageable using clever drip guidance), all without paying for gas or electric to heat/cool the water in the boiler. This place is freakin awesome! ! I am at work so won't reply properly yet except to stear the conversion towards tropical fish wall. I do have the glass door from an old bank and its about 15mm thick and hardened. Could use that somehow. And the European idea of hanging bottles of hot water? Link to any pics? The underground thermal mass is a solid one and is used. I separately have a 1000 litter tank as part of the thermal mass of a shed I am turning into something more liveable. The tiny home idea is that it can be moved. Draining the water at one place then filling up at the nexy and keeping the whole thing under 2500kg which is my towing limit. //This place is freakin awesome! !// We do our simple best. //hanging bottles of hot water?// I believe it's possible that [xen] was referring to radiators. How is the water heater? I presume there is some boiler as part of this system? My idea is to gather the heat required during a cold night from the a hot day a week ago. Where I live is inland, so often the temp goes up and down a lot. //This place is freakin awesome! ! Some bright spark will think of putting custard in the walls. To hide websites in general at work, there's an extension for at least Chrome and Firefox called Decreased Productivity that makes webpages very plain-looking. I recommend turning on its "sticky" option so that new tabs you open from links are also made plain-looking. I used to do thermal mass calculations in my youth for building energy compliance reviews. This is a neat idea to think about but you've clearly stated the problems yourself. Water would have to complete with concrete that needs no maintenance. Some of the problems you've pointed out could be solved by just having a "water floor". Just a body of water in a pool like structure with the house having a transmissive floor in contact with the water. You'd get plenty of passive cooling and heating from that, no need to deal with leaky, stinky walls. Plus having no exposure to sunlight and night cold it would retain a more stable temperature. Might be other reasons to have lots of water stored for drinking, etc. Bun for an interesting idea. Welcome to the HB. Someone has to say it. Add some starch instead of removing the water for a non-neutonian crash barrier during travel. Sturton's house has a large thermal mass of liquid in the cellars. Last tally was 3007 bottles plus a few dozen magnums. As a bonus, the thermal mass can be drunk, as can Sturton. Actually, come to think of it, Sturton is a pretty big thermal mass himself. Cons Custard is expensive by the ton. It's how you get ants Doesn't flow that well. doctorremulac3 Thanks for the bun. I shall learn more what that means and start sharing them about, but it seems a good thing for sure. You make good points but mostly highlight that I haven't made clear the main restriction that water is getting past which is weight. I can only tow 2500kg and most designs are over that already. So... you tow empty, and fill when you're where you're going to be staying for a while. If you want to haul the water with you then a lower center of mass is more beneficial otherwise dump the weight. Water is relatively easy to come by. It falls from the sky, or free from a tap, but most importantly, it's easy to pump.